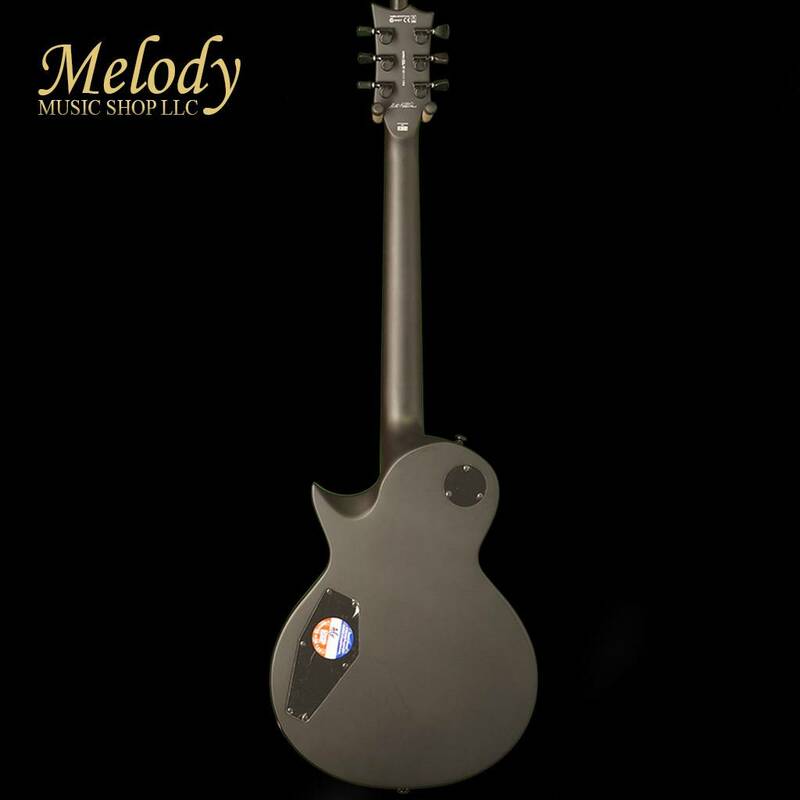 $999.00 This may be in stock for quick delivery; please call! 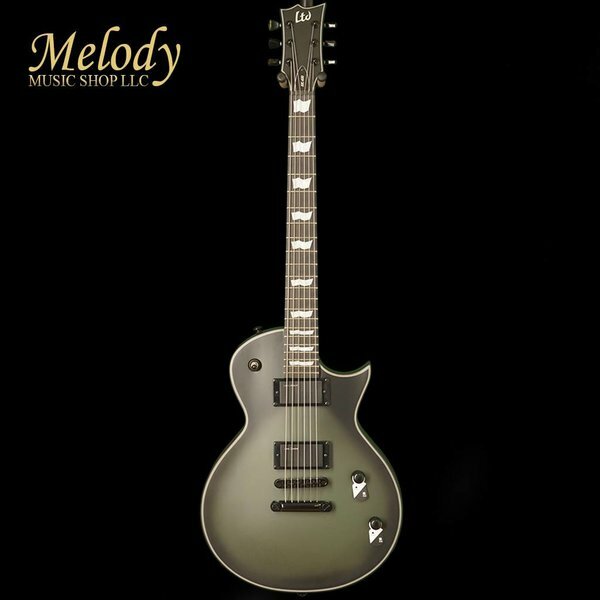 The BK-600 is the LTD Signature Series guitar for Bill Kelliher, guitarist for influential American metal band Mastodon. The BK-600 is the LTD Signature Series guitar for Bill Kelliher, guitarist for influential American metal band Mastodon. 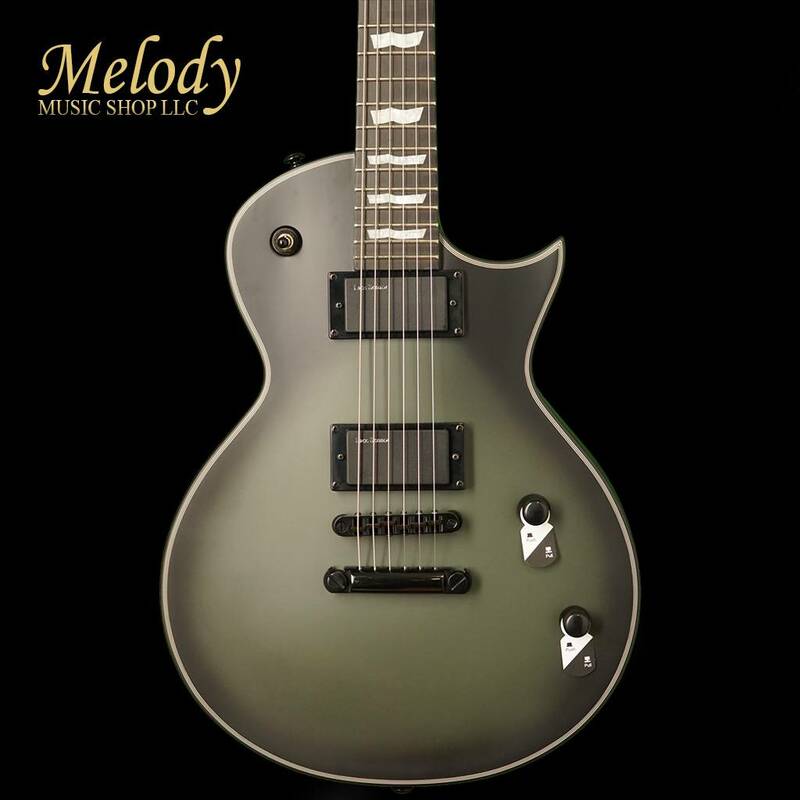 Designed by Bill to provide the wide range of tones needed for Mastodon’s music while being sturdy and reliable enough for his most punishing rhythms and brutal riffs throughout long tours, the BK-600 is based on the single-cutaway ESP Eclipse guitar style, along with a traditional full body thickness and no waist cut. 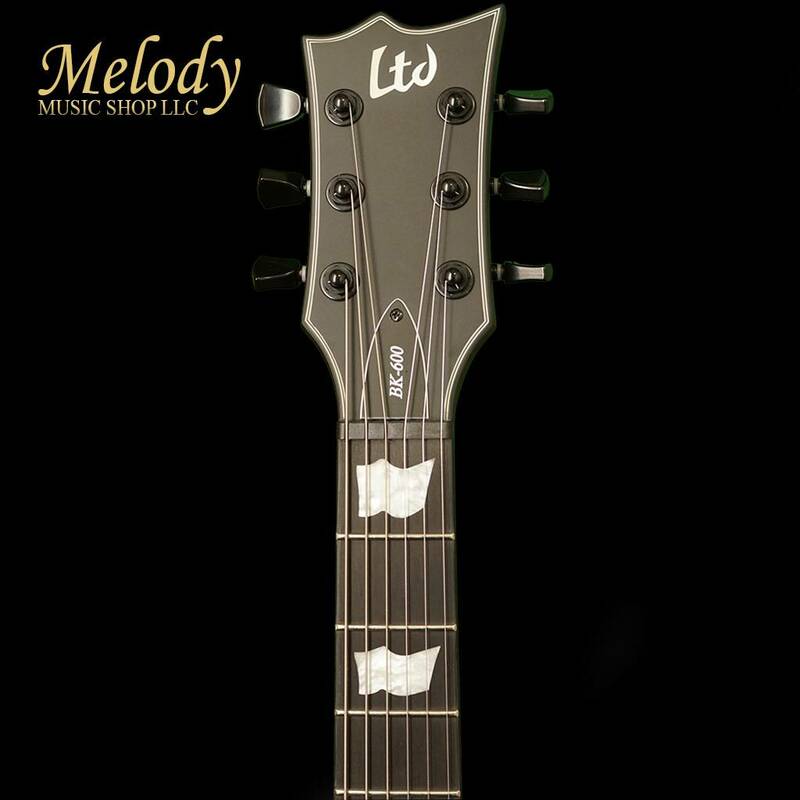 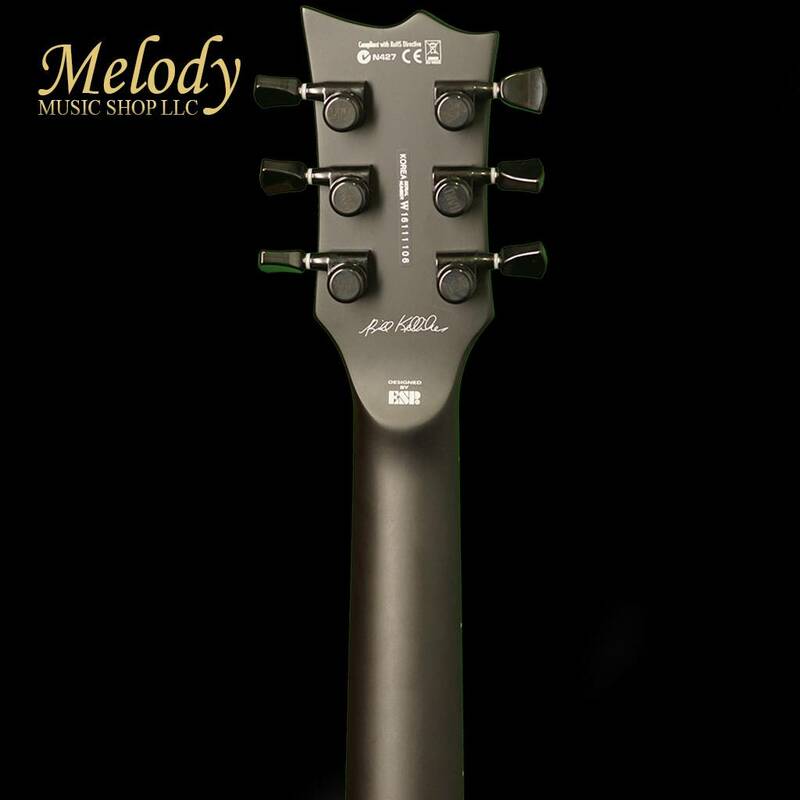 Its three-piece mahogany neck is joined to the body with set-thru construction at 24.75” scale for smooth and comfortable fast access to the upper frets. 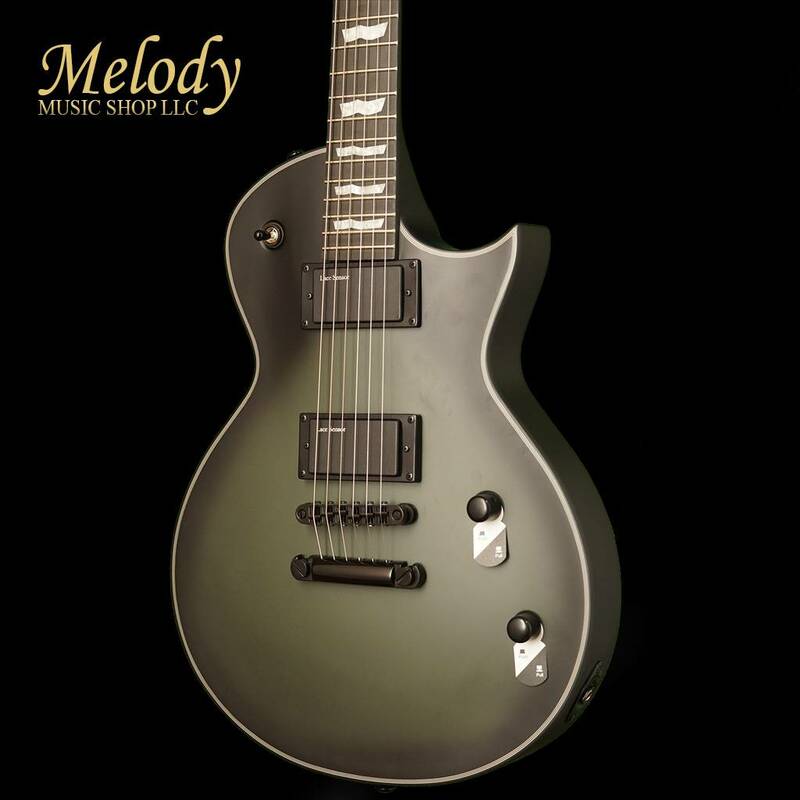 The BK-600 offers an ebony fingerboard with pearloid “ESP Flag” inlays and 22 frets, as well as binding on the body, neck, and headstock. Its sound is generated with two of Kelliher’s own signature Lace Sensor “Dissonant Aggressor“ pickups, a sonically versatile humbucker set with excellent dynamic response, sustain and tone. 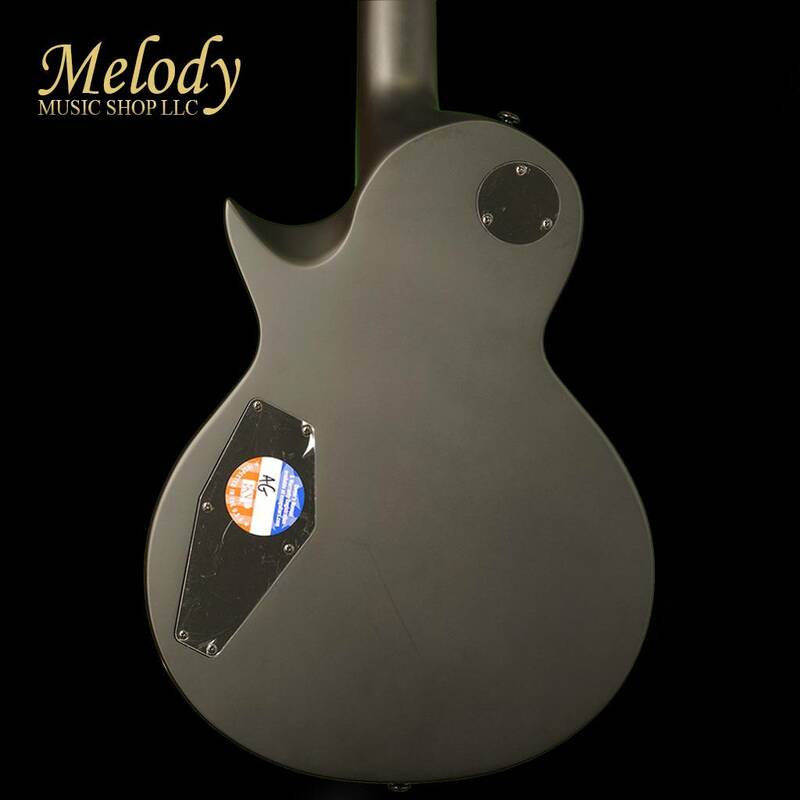 The flexible sounds of the BK-600 are controlled with master volume and tone knobs that each offer a push-pull control to split the bridge and neck pickups respectively. 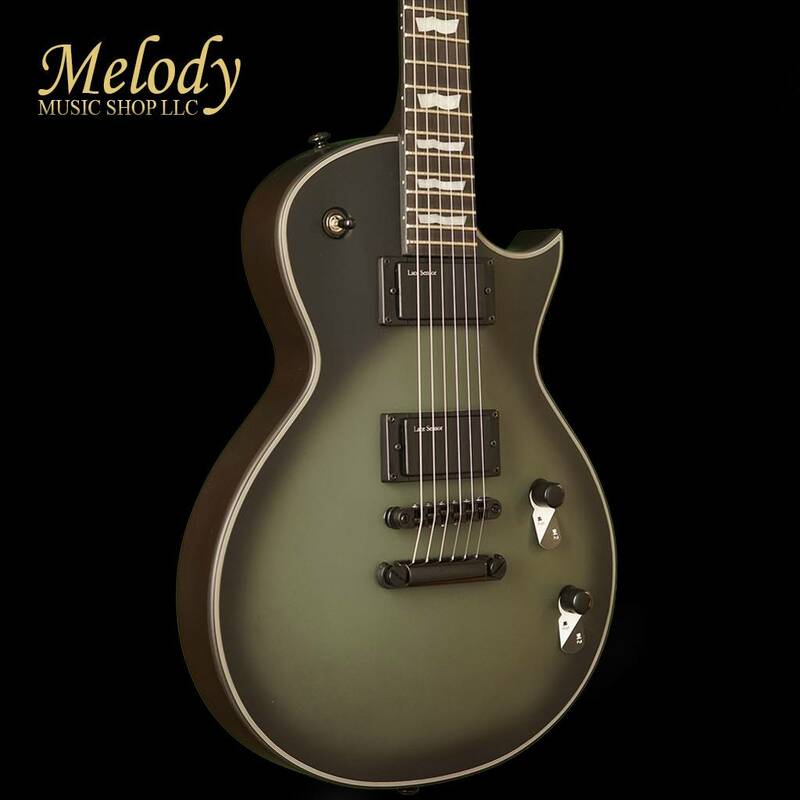 Other professional features on the LTD BK-600 include locking tuners and a TonePros locking bridge, and it’s available in a distinctively cool Military Green Sunburst Satin finish.